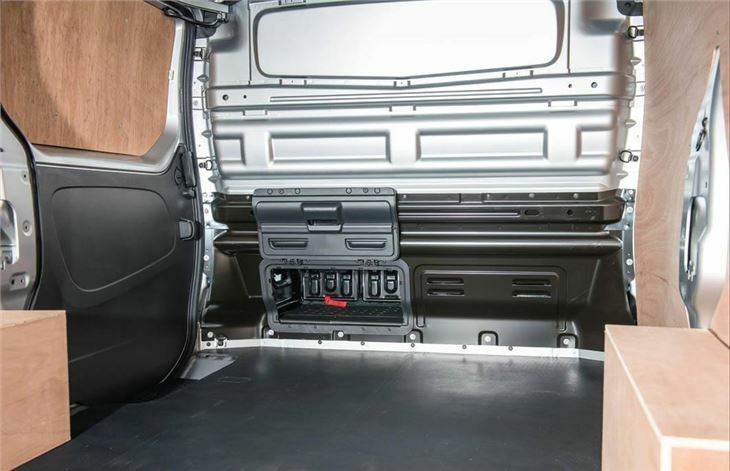 Strong 1.6 diesel engine available as a twin-turbo version, smart interior that doubles up as a mobile office, L1 capable of carrying three Euro pallets. 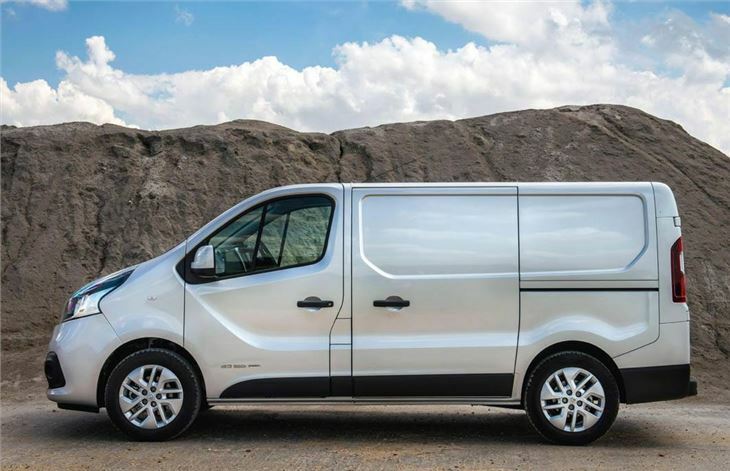 Technically not an all-new van rather a thorough revamp, some minor material issues in the cabin. 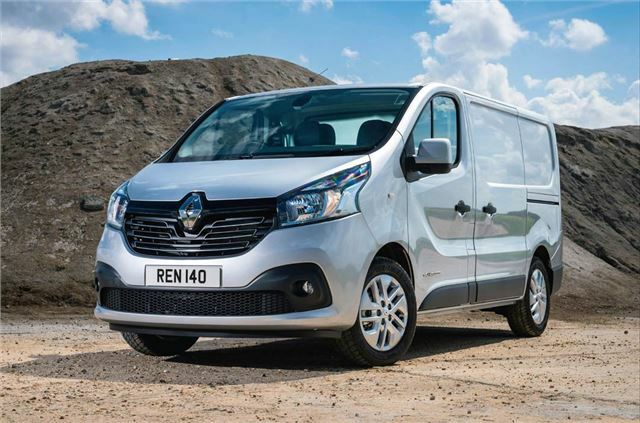 Contrary to the hype, the next generation Renault Trafic was not an all-new when it was relaunched in 2014.. Instead, it’s a thorough revamp, with improved engines, load area and a new car-like cabin. Like its predecessor, the Renault majors on versatility, with an excellent range of engines and bodystyles. 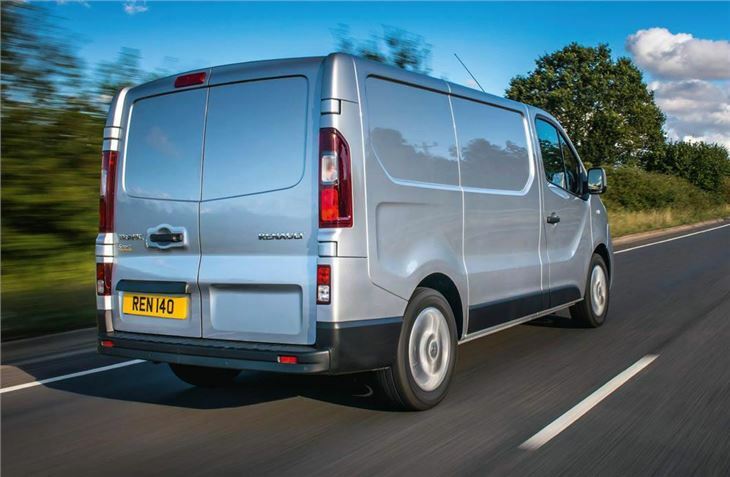 As before it’s offered in numerous configurations, which include panel van, platform cab and nine-seat minibus. 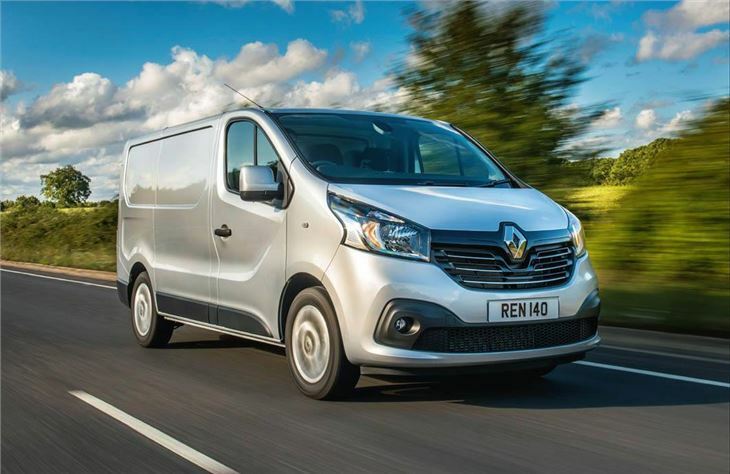 Renault is also offering a ‘Ready to Work’ range of optional racking systems which are fitted before delivery, meaning owners who need specific kit for work can pick up their new van from the dealer and get right to business. The Trafic is available in two lengths and two heights and can carry items of up to 3.75 metres (L1 version) or 4.15 metres (L2) in length. Carrying capacity ranges from 5.2 to 8.6 cubic metres, while the load area has a simple-to use through-hatch that allows the loading of planks or pipes. The Trafic can be ordered with an optional interior overhead rack that can carry pipes or a ladder. 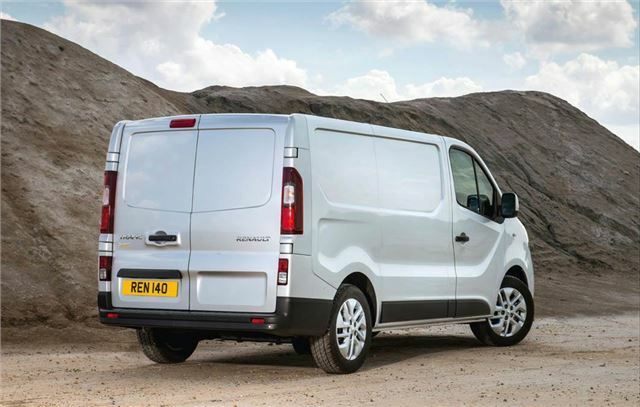 The van also has 20 anchor points and half sized panel protection as standard. 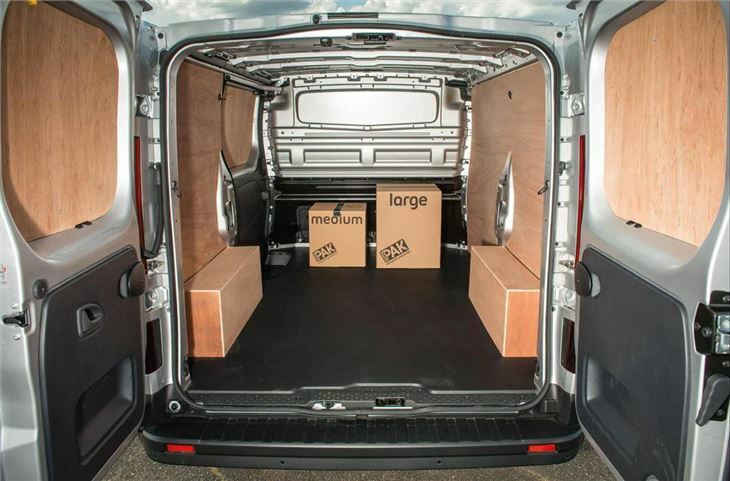 Even the smallest L1 model is capable of carrying three Euro pallets, while the maximum permitted payload weight ranges from 1079kg to 1281kg, depending on size and engine choice. 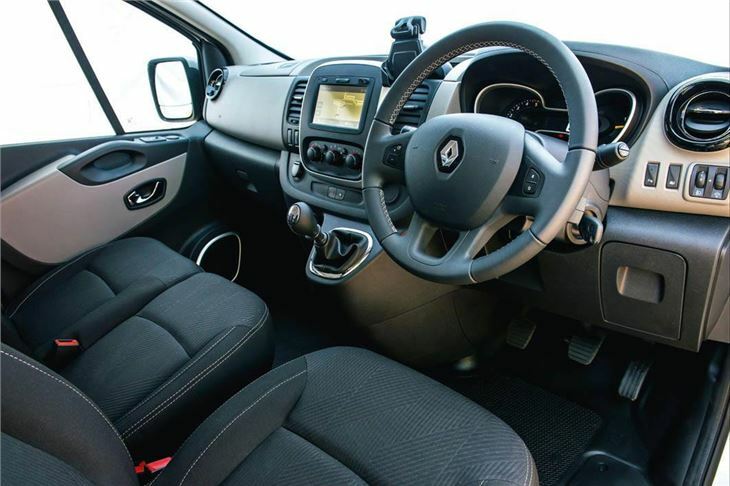 The cabin is reminiscent of the current Renault car range, with decent quality materials and a comfortable, MPV-style driving position. 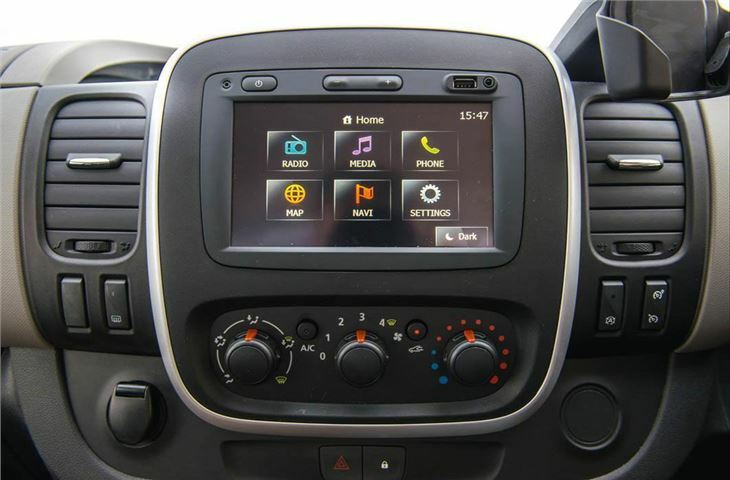 Renault has also given significant emphasis to the ‘mobile office’ theme, with a dash mounted cradle for a mobile phone or tablet PC. 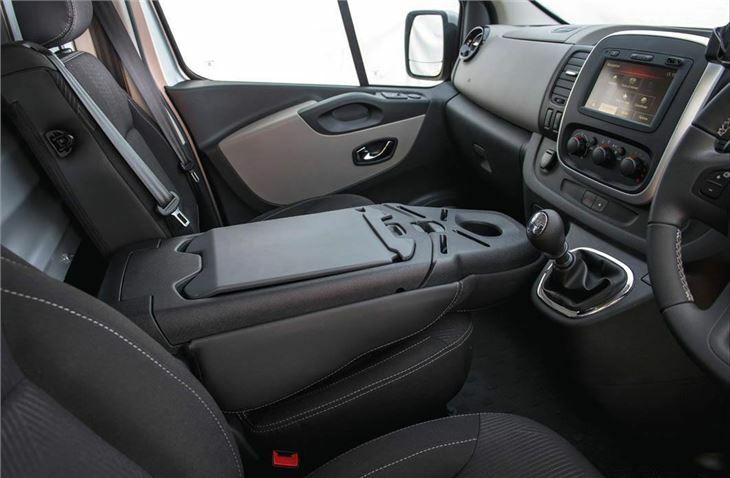 The centre seat can also be transformed into a laptop holder and there is a built in, removable clip board that can be directed at the driver or passenger.